Experience how Digital Health Technology changes your life. Excite your imagination by discovering what’s possible in digital health. Health IT Startups & Spin-Offs display their latest devices and services. Tech startups already impact the way we manage our life and are projected to greatly impact how we will manage our health and wellbeing daily. Connect with our community of international tech startup ecosystems. Meet developers and startups who are creating innovative business models and solutions. Get hands-on learning to encourage entrepreneurs to come together, share ideas and launch new startups that will benefit you. We want to create lasting connections for startups, investors and corporations to create a vibrant and sustainable eHealth ecosystem in the city of Athens. GIVMED is the first community for utilizing excess medicines. GIVMED team has developed a technology that streamlines the donation process for the surplus medication that so many households have laying around. We are doing so by developing a mobile application which extracts all medical information from the barcodes found on medical packaging, and links users with organizations that could redistribute this medication to individuals in need of them (like greeks that live below the poverty line and refugees). Blueline is a real-time, on-demand platform for dynamically matching supply and demand in the primary healthcare sector.The service will initially focus to revive house-calls (home-visits) as the primary means for primary healthcare services provision. Our future plans call for rolling out a number of complementary features such as telehealth, integration with wearables and consumer medical devices, drug home-delivery, e-prescription as well as management of personal medical record. 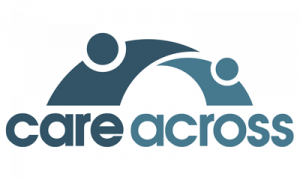 Doctoranytime.gr is the leading service for online doctors’ appointments in Greece. Launched in 2012, Doctoranytime’s database includes more than 5.000 doctors and 60 diagnostic centers and its 120.000 users book more than 9.000 online appointments every month, free of charge. Since January 2016, Doctoranytime operates in Belgium where it has already amassed more than 1.000 doctors in its clientele. Doctoranytime wants to be a “mother”, a “best friend” and a doctor for it’s users who look to not only book a doctor’s appointment but also find answers and solutions to issues of health and beauty the face every day. It is certain that with Doctoranytime they are in good hands! Among Doctors is a global networking and collaboration platform, exclusive and strictly only to licensed physicians, which helps them connect with reliable colleagues of all specialties across the globe, in a secure and meaningful way. Through Among Doctors, physicians are able to grow their global professional network and referral base, exchange a second colleague opinion with trusted peers, discuss and collaborate on medical cases or topics, create private working groups and showcase their work to a global reliable medical community. Interconnected sensors and intelligent interpretation bring effective decision making to doctors & nurses to improve care, while providing confidence, inclusion and independence to people with dementia living alone and their loved ones. An intuitive, flexible and intelligent medical assistant that helps you complete an exam reporting in minutes. It’s powerful reasoning engine and machine learning algorithms ensure that mistakes are minimized. 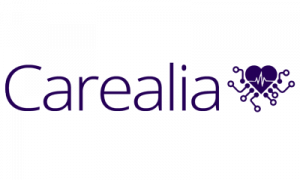 Built-in security that features: anomaly detection based on user access patterns, anonymization utilities, extensive auditing and many more features. 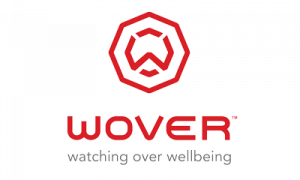 WOVER is a powerful smartphone app that reports personal emergencies to your trusted network, early and reliably, to maintain peace of mind & minimize situational impact. Runs on your smartphone and can be tapped to call for emergency. Your personal network will be notified with vital information about your location, medical condition and prior activity. Enables you to create a transparent, private, and trusted personnel safety network for yourself and the people you care about to help maintain peace of mind and privacy. Is intelligent. Running in the background, it collects vital data, training itself to your behaviour and can then detect and then warn you to prevent potential emergencies. It enables active but safe lifestyle for everyone. Support, Answers and Hope for cancer patients and caregivers – from diagnosis to long-term care. We support people affected by cancer, through credible information, useful tools, psychological support, and expert advice. This is done via a secure, anonymous and private web platform. 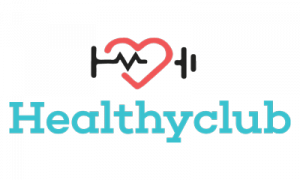 HealthyClub is a B2B platform for clinical dietitians, trainers, gym’s and wellness centers. We bring value to our customers providing an advance ERP, an automatic meal planner & marketing tools leading to excellent customer care and business growth. 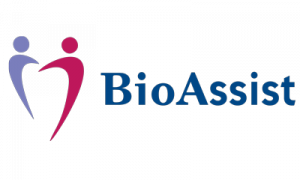 BioAssist and its main product “Πάντα Μαζί” aims to extend independent living of seniors and chronic patients by providing constant support and supervision, allowing them to stay at home for longer, while ensuring their safety. This solution helps seniors stay in touch with their loved ones and improves chronic illness management by supporting continuous monitoring of their health status and encouraging compliance to prescribed medications. InSyBio (www.insybio.com) is a bioinformatics company, that focuses on developing computational frameworks and tools for the analysis of complex life-science and biological data in order to develop predictive integrated biomarkers (biomarkers of various categories) with increased prognostic and diagnostic aspects for personalized Healthcare & Nutrition Industries. 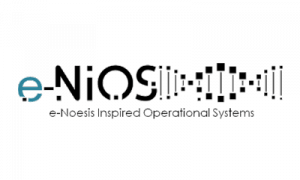 InSyBio offers an all inclusive technology solution which is based on biological networks to model and integrate complex biological information in many layers (mutations, proteins, clinical variables, peptides and so on). InSyBio Suite consists of Cloud-driven tools (SaaS), able to integrate data from various sources and provide comprehensive results using advanced big data-oriented artificial intelligence methods. 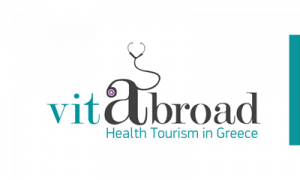 Vitabroad is a full service facilitator for medical tourism in Greece. We create personalized medical travel plans for international patients seeking treatment in Greece. By the end of the year our goal is to build an online booking application for dental tourism. 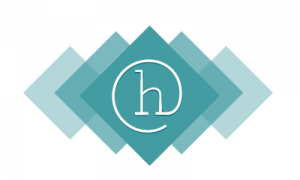 Humane is a social enterprise, empowering people with chronic diseases and disabilities. We have created the “Humane reaction” products: highly designed t-shirts, mugs and notebooks. Each “reaction” product is dedicated to a different disease and supports three values: awareness of the general public, financial support of health care services and labor integration of people with chronic diseases and disabilities. We are a network that connects designers and health care providers with the patients and calls every citizen to a positive reaction. Digital and gamified WellWe-application works as a tool to evaluate the wellbeing of families with children. With the tool, family can evaluate their wellbeing by assessing their health habits (physical activity and nutrition), family resources and daily rhythm. The information on the family’s wellbeing and factors affecting it is stored into the application to be utilized for example in health care and social services. The information enables the professionals to support the families and promote their health habits in need-based manner. Notably, this all is done in child-friendly way to facilitate the involvement of the children into the health-discussions and promote their own active role and understanding. Kinetisense is cutting edge 3D motion tracking software that accurately measures 44 movements from eight joints, neck and back. It’s been awarded with the first prize in Intel’s international challenge (2015) and featured in the Canadian keynote speech by Microsoft’s CEO Satya Nadella. In 2016, Kinetisense acquired a methods patent for the use of 3D motion analysis of range of motion and movement capture..
Bodily vibrations are simultaneously acquired using multiple non-contact sensors are digitized and processed through signal separation methods for individual physiological parameters estimation. Accurate signals are successfully extracted including body movements, Cardiac, respiratory, snoring, murmur. Bloode is an online platform connecting people in need with blood donors, reshaping the blood donation system. In Greece every year we need 700.000 units of blood but only 35% is covered by volunteer donors. The system depends on replacement donors which leads to safety concerns. Around the world, more than 40 countries can cover less than 25% of their annual needs. Bloode aims to increase the percentage of volunteer blood donors through: ■ an online platform that connects the potential donor with the person in need, the first digital community of blood donors ■ educational events and games that aim to cultivate the youth on the matter of blood donation ■ corporate social responsibility programs designed for corporations, promoting the idea of volunteering to their customers as well as their employees. Our mision, to inform, educate and inspire people to take part in a blood donation system that works for the profit of our society. To create a new era of resposnsible and self motivated blood donors. RADIO is a research and innovation action funded by the European Union. In RADIO, nine academic, industrial and health-care organizations work together to develop and validate technologies around ambient assisted living environments to keep elderly people active and independent for longer. RADIO environment is a Smart Home equipped with a robot. Smart Home automations allow the user to control the house while the robot offers assistive services. When the user interacts with the robot, the system also monitors Activities of Daily Living and mood. This information is then sent to the clinical staff who can assess the independence of the user. New healthcare experience with the help of technology. Connecting patients with qualified doctors and healthcare providers; empowering patients to take control of their healthcare decisions. Patients are connecting with qualified doctors throughout a wider geographic region, owning and storing their medical histories on the Cloud and sharing their portable medical history with doctors of their choice. Technology can help people with disabilities, it can change their lives. But usually it’s expensive, a privilege of few. We are changing this. How? By creating Talk and Play, a system that allows people with disabilities to communicate, to be more independent during their leisure time and to receive training and exercise for rehabilitation at home, under the guidance of their therapist. VidaMe enables the consumer to collect and access personal health and wellness information via the use of a smart app, connected devices and a cloud platform, where big data & predictive analytics are utilized to provide coaching and motivation. VidaMe is bridging the gap between knowing and doing by mobilizing the consumer to engage in a healthy lifestyle. We want the best health care system in the world, we want the most efficient and effective system so everyone benefits. How do we achieve this? By working together, collaborating and sharing knowledge like never before to improve healthcare for all. Ingredio is a mobile application, through which the user can take a picture of the ingredients of a cosmetics or food product with a mobile phone, and is informed whether these ingredients are safe or toxic/allergenic or of natural origin according to existing chemical databases. Our application is aimed at informing the growing share of consumers who want to know what is contained in the products they use and embrace healthy eating and cosmetics without toxic chemicals. We inform consumers whether the ingredients of a cosmetic or food product are safe or toxic and if they are of natural origin according to a verified chemical database. 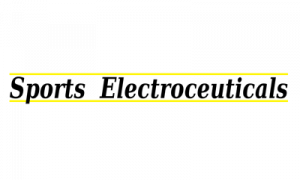 Our application can be used without geographical restrictions for chemical ingredients listed in English.